BBC NEWS | Programmes | Daily Politics | Time for national citizenship service? Time for national citizenship service? 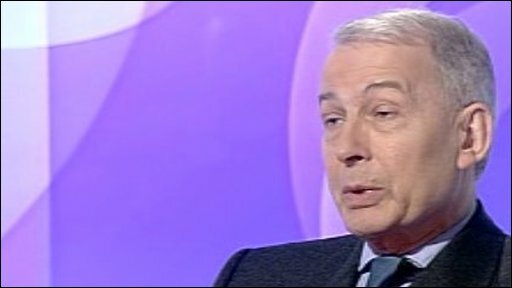 Labour MP Frank Field thinks it is time to introduce a compulsory national citizenship programme for 16 to 25-year-olds. It would mean young people working on community projects such as helping out on environmental schemes or mentoring in schools. He discussed his plans in the studio with Jon Gaunt.